Electrical engineering is a field of engineering that generally deals with the study and application of electricity, electronics and electromagnetism. Electrical engineering, an amalgamation of what is now called electrical, electronics and communication, instrumentation, computer engineering etc. is the largest of all engineering disciplines. Four well recognised branches of electrical engineering are power, communications, electronics and control systems. In a broader sense, this field covers a range of sub-disciplines including those that deal with power, optoelectronics, digital electronics, analogue electronics, artificial intelligence, control systems, electronics, signal processing and telecommunications. Overlapping of this field with computer has opened up the door to a career in almost any industry. 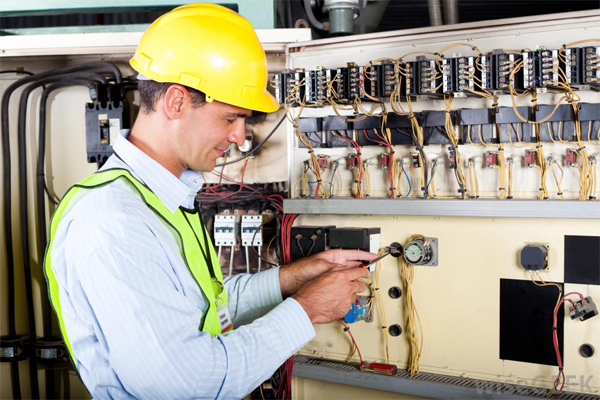 The field of Electrical engineering involves transmission and generation of electrical power, electrical circuit design, electronics, instrumentation, control system, understanding electrical and electronic networks etc. Electrical engineering is considered to deal with the problems associated with large-scale electrical systems such as power generation and transmission and motor control, whereas electronic engineering deals with the study of small-scale electronic systems including computers and integrated circuits. It includes the design and building of electronic circuits based on the flow of charge through different materials. Alternatively, electrical engineers are usually concerned with using electricity to transmit energy, while electronic engineers are concerned with using electricity to transmit information. Electrical engineering is a branch of engineering that deals with the study of diverse utilization of electricity and equipments that generate and distribute power. This is divided into heavy current (electrical machinery; generating stations and distribution systems) and light current (telecommunications, radar, computers etc.). Conventional areas like generation, allocation, distribution and transmission of electricity come under the purview of electrical engineering. The broad field of electrical engineering involves working with all manners of electronic devices, from pocket calculators to supercomputers. In this area, the engineers' task involves generating, distributing and using electrical power in the fields of communication, control system, electronic computer, industrial electronics and instrumentation etc. Electrical engineers design and develop electrical systems, research new and innovative designs and system, supervise and plan manufacturing process of high end electrical systems. This role provides a number of challenges ranging from problem identification and the selection of appropriate technical solutions, materials, test equipment and procedures, to the manufacture and production of safe, economical, high-performance products and services. Electrical engineers work to combine technology with creativity, taking ideas and turning them into reality. In fact, electrical engineers are involved in the practical application of electrical energy.